Gently whisk the egg whites, the sugar, and the salt by hand until the sugar dissolves and the mixture is hot (for about 5 minutes). Whisk on high until it thickens, peaks start to form, and the temperature of the mixture goes down to room temperature. 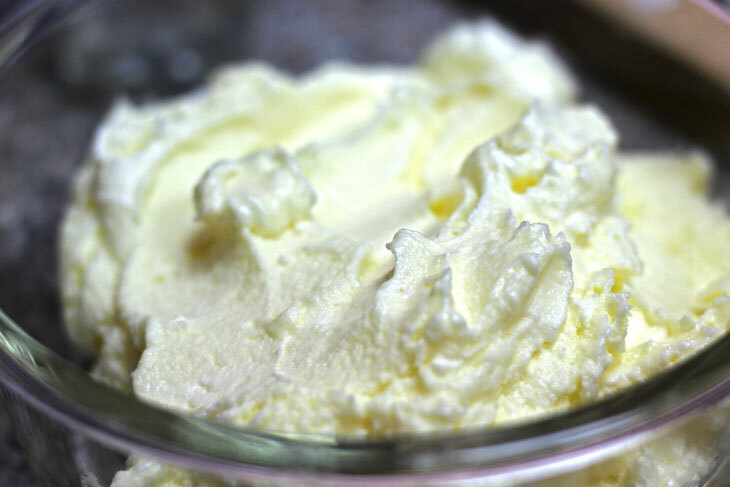 Continue whisking and start adding the butter piece by piece. Add the flavoring and whisk until incorporated. In case of making chocolate buttercream, at this stage, sift cocoa powder or add melted chocolate while whisking. Cool in the fridge for 10 to 15 minutes.